As I write this, it’s the 2nd of December, and we’re about to head out to pick out our Christmas tree. This of course means I have an excuse to scroll my instagram and Pinterest feeds for inspiration before venturing out to find our tree. I thought I’d share my favorite five trees that evoke the feeling of a Christmas on the coast. I love the coastal hues in the Christmas tree above. This room feels lush and cozy with the washed and warn painted wood tones. It also has a vintage vibe that feels nostalgic. 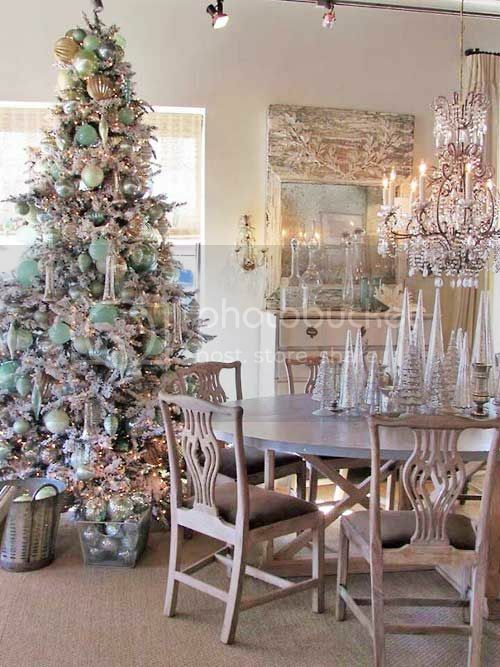 Decorating your tree with ornaments in pale blues and greens is great way to add a coastal touch. I love both the natural and blue tones in this room. This Christmas tree with the hints of blue and white against the evergreen makes a beautiful tree. 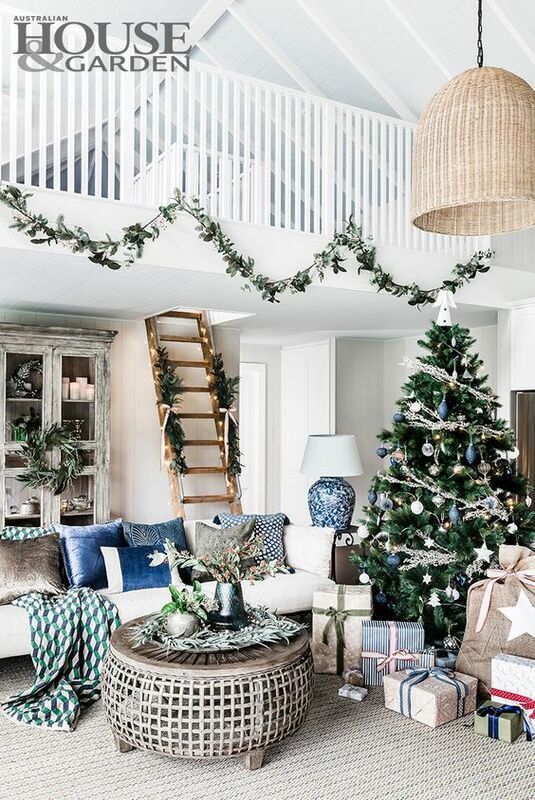 Staying with the very literal coastal Christmas look, you have to admire every Christmas tree that Kim Wilson of Sand and Sisal does. She captures the coastal lifestyle beautifully. I love the use of rope as garland in her tree above. It works so well with the burlap tree skirt adding a nice, unexpected yet natural element to the Christmas tree. Tell me how you like to decorate your tree. Do you like to load it with ornaments? Do you stay with just one color scheme? OR, do you use multi-colored lights and a mixture of ornaments? I grew up with a tree that always had big multi-colored bulbs, and we were NOT allowed to help decorate. My mother filled the tree with cherished glass ornaments as well as every hand-made ornament my brothers and I made. As much as I hated not being able to do anything, but string popcorn, I loved our tree and the feeling of the anticipation of Christmas morning. If you celebrate Christmas, I hope you have fun decorating your tree this year and hope this post gives you a little inspiration. 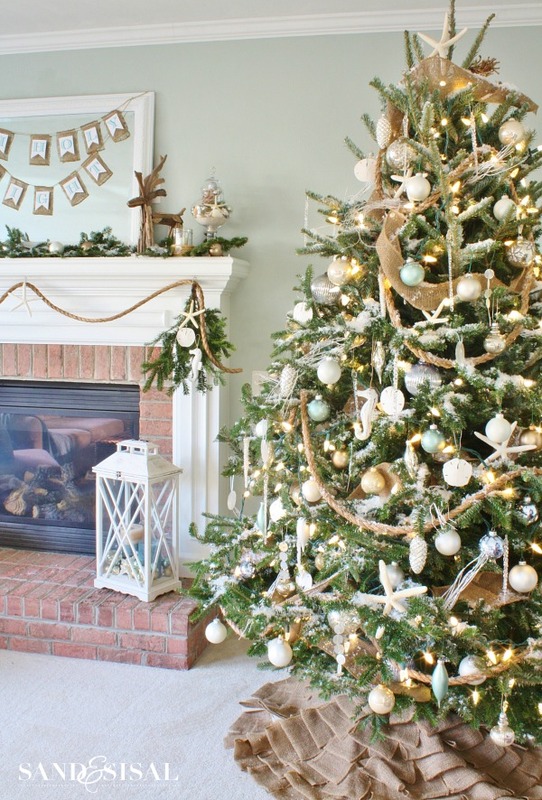 If you have any tree decorating story you’d like to share, I’d love to see it in the comments below.